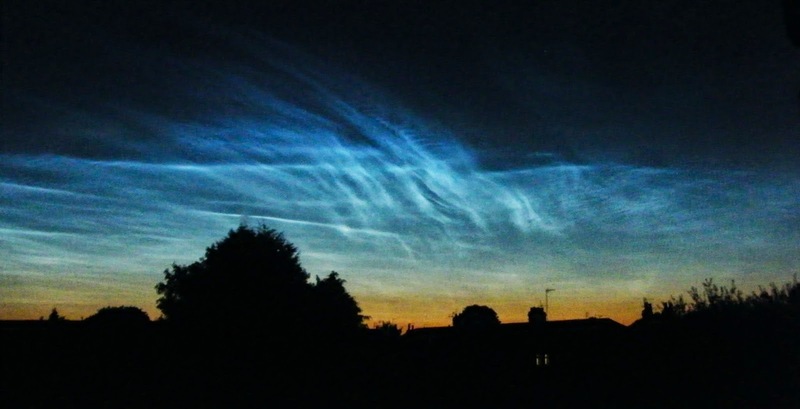 I suppose if you don’t go to bed early you’ll sooner or later start seeing things even rare noctilucent clouds. This was around 3.10am on July 7. Seems there’s been a spate of these over Europe this past week, must be something in the air.